Mention the word “Ifugao” and it immediately calls to mind the famous man-made Banaue Rice Terraces in northern Luzon, which has been included as one of the wonders of the world. In fact, the word Ifugao is said to have come from ipugo, which means “from the hill.” The tribes’ main source of living is agriculture because they are surrounded by mountain ranges. Each village is composed of 12 to 30 houses built near rice terraces and other agricultural resources. Ifugao is one of the places in the Philippines that has not been influenced by the Spaniards; they did enter Ifugao territory but were unable to touch their culture and values. Ifugao culture values kinship, family ties, and religious and cultural beliefs. The wanno or g-string is the traditional attire of male Ifugaos. There are six types of wanno, which are used depending on the occasion or the man’s social status. 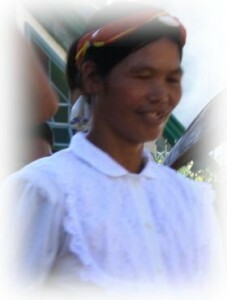 Ifugao women wear tapis, a wraparound skirt. There are about five kinds of skirts. The Amganad Ifugao (also, Ifugaw) live in the central part of Ifugao Province. The tribe has two dialects — Burnay and Banaue — and is a part of the Nuclear Cordilleran stock. Tiongson, Nicanor G., ed. CCP Encyclopedia of Philippine Art: Peoples of the Philippines, Vol. I.
Sentro ng Pangkultura ng Pilipinas Special Publications Office, 1994.